Help to build Literature SE! 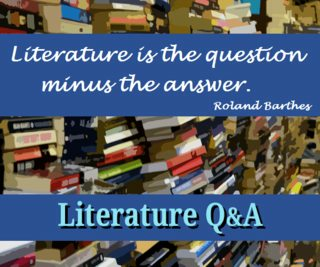 Want to engage in questions and answers about books which aren't sci-fi or fantasy? Come and join Literature SE! Ads designed by CreationEdge and BESW. Love classical "what am I?" riddles? Visit http://www.riddlersden.com to enjoy all the fun of stylised riddle solving! One riddle published each Friday along with the solution to the last. Currently undergoing maintenance, but still available at http://web.archive.org/web/20160110122437/http://riddlersden.com . You can check your solution on the site, as well as email us with your own riddles or to request personalised riddles from us. I am one of the moderators of Science Fiction and Fantasy Stack Exchange, where I try to maintain a constant presence in case of need, while not being overly obtrusive or trigger-happy. If you're a fan or even just an occasional consumer of fantasy or science fiction, why not come over to browse our site? 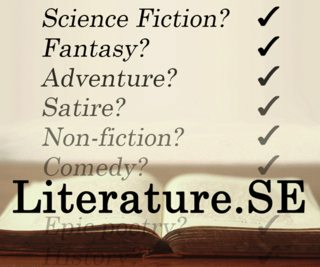 If you have a good question about any work of fantasy or science fiction - particularly wheel-of-time, doctor-who, lord-of-the-rings/the-hobbit/tolkien/middle-earth, the-hunger-games, or harry-potter - I'll probably look at it and upvote it, and maybe have a shot at answering it. If you have concerns about any of my mod actions, or anything you'd like to ask about the site, just pop into the site chatroom and type @Randal'Thor to get my attention. I study mathematics; I read fantasy novels; I write and solve riddles. I've never seen Star Wars, and here's my favourite summary of it. My inner pedant is 16% under control, and sometimes not under control at all. I could do so much more - SO MUCH MORE! Does Katniss depict proper handling of a bow? How do I get the last lines of dust into the dustpan? Who was the fifth army in The Hobbit: The Battle of the Five Armies movie? What is “DON'T PANIC” a reference to on the dashboard of Elon Musk's car? Why did companions have such high social standing? What good did Snape do anyone by infiltrating the Death Eaters? Why did Moody eat the school's sausages? On Dagobah, do what, did Yoda? What was the point of Draco's plan? Why didn't Aunt Petunia tell Harry how to get into Platform 9 3/4? Why didn't the Moria record-taker fight more and write less?